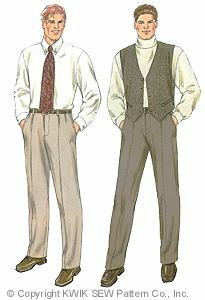 Basic men’s pleated front pants. Great for wool, wool types, suitings, gabardine, flannel and twill. 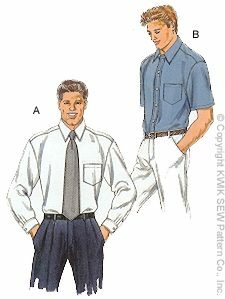 Pants have front tucks with front side pockets and a fly zipper. The waistband has belt loops and the back welt pockets have a button closure. The lined vest has welt pockets and a front button closure. Sizes S-XXL included (chest 34”-52”, waist 28”-46”).